The rich history of Istria is easily read; the entire peninsula is like a huge open book, filled with stories and legends from past times. Practically every city and settlement has its own cultural and historical heritage or natural wonders worth exploring. Some of the preserved monuments and buildings date back even before the ancient times. 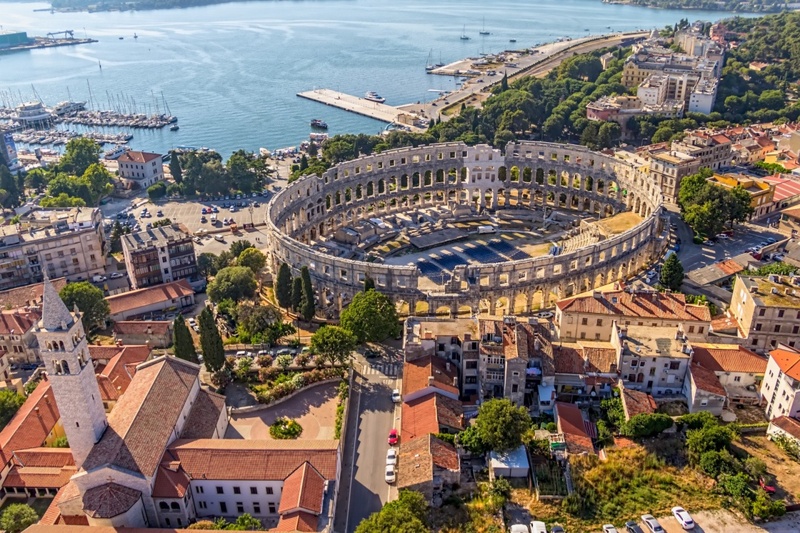 Perhaps the most popular and the most valued sight of Istria is the ancient Roman amphitheater in Pula protected by UNESCO. Built in the 1st century, almost entirely made of local limestone, the Arena (as it is popularly called) was originally intended to host the gladiator fights. Today it is a venue for various summer performances and events. 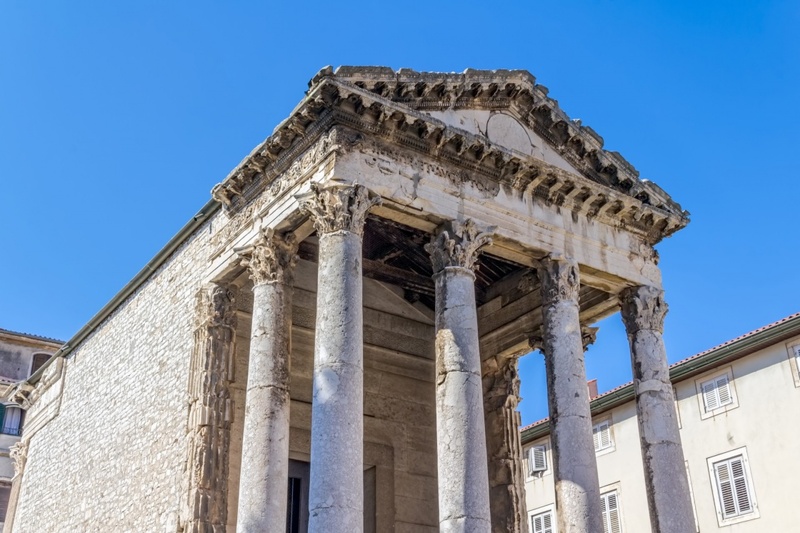 Pula offers numerous other sights, due to its well preserved monuments from the ancient Roman period. Be sure to visit the remains of the Roman Forum with the Temple of Augustus and The Gate of Hercules between two medieval towers. 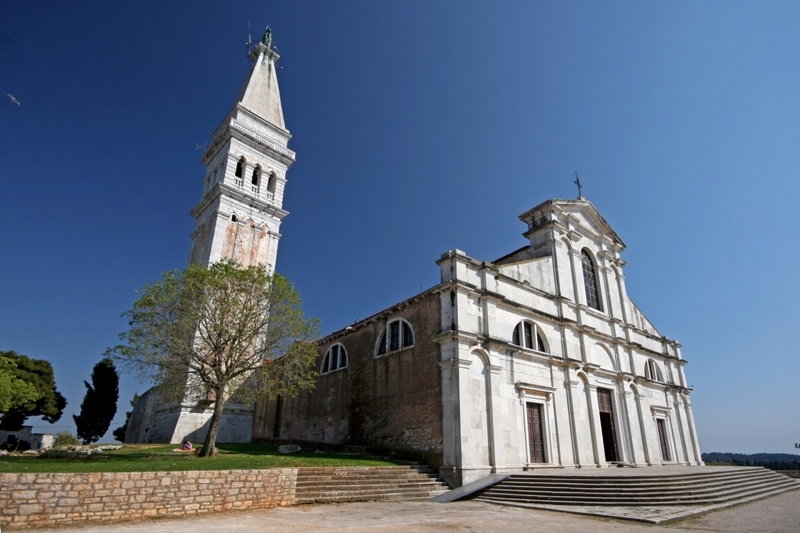 Euphrasian Basilica in Porec is another UNESCO protected monument of Istria. Built on remains of the older church in the 6th century, it represents one of the most beautiful examples of the Byzantine art on the Mediterranean. 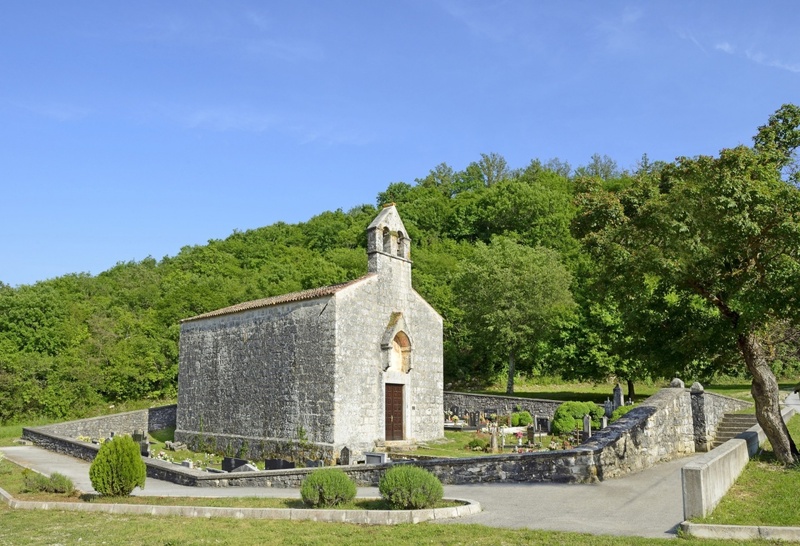 The Church of St. Blaise in Vodnjan is the largest church in Istria built in the 18th century, famous for its large collection of sacral art objects and 370 well preserved relics from 250 Christian saints. It is believed to be among the biggest relic collections in Europe. 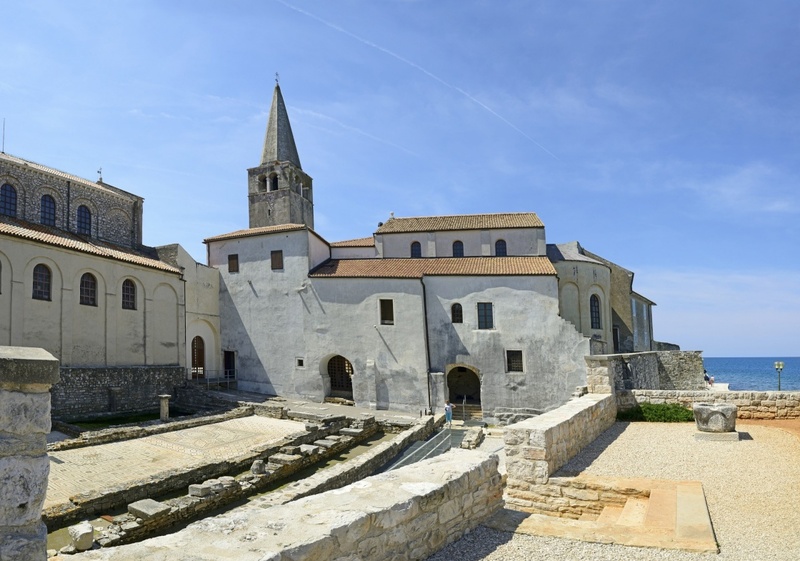 Don’t miss a unique opportunity to visit the smallest town in the world during your stay in Istria. 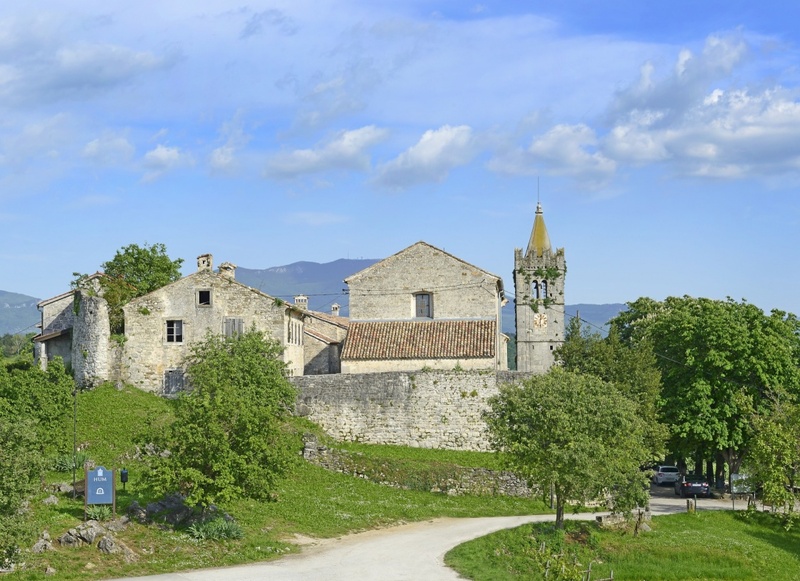 Hum is situated in the central Istria, Near Buzet and is inhabited by 17 people. It has only two small streets, but the county prefect is chosen every year. Hum made it into the Guinness Book of Records. 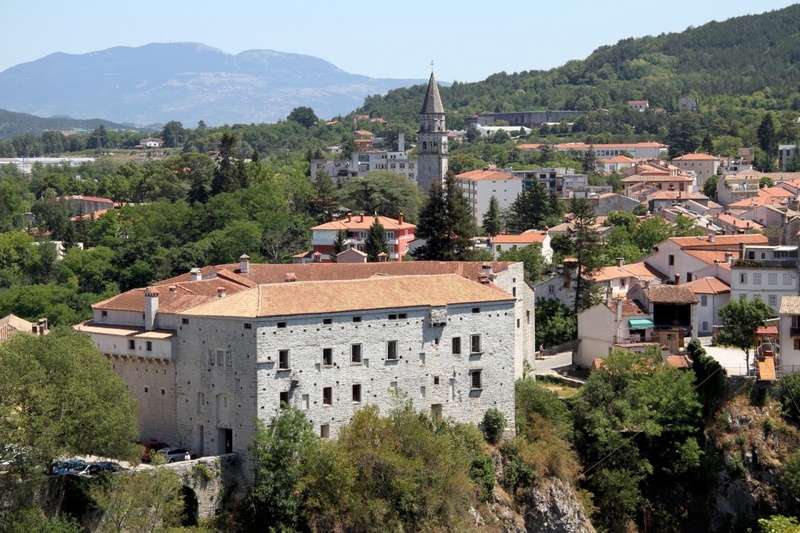 The Castle of Pazin (Kastel) is the best preserved and the most beautiful medieval fort in Istria. Situated on a cliff above Pazin, a picturesque town in the central Istria, the castle offers a magnificent view of the area. 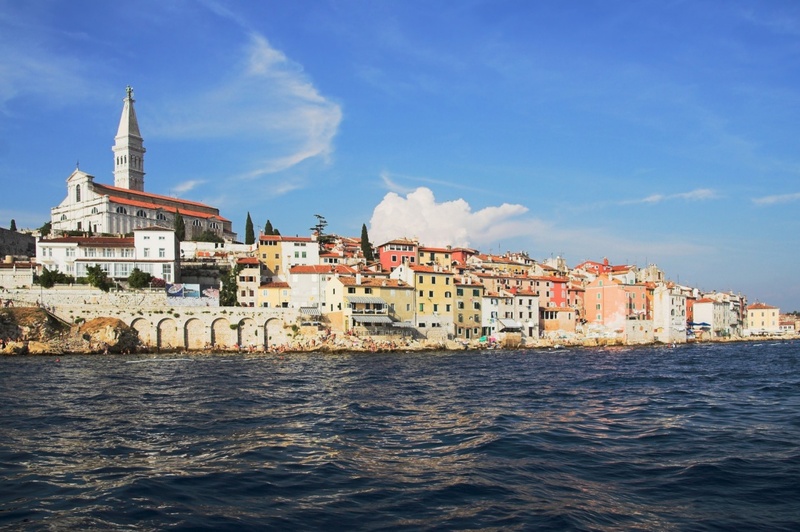 The Church of St. Euphemia in Rovinj is an imposing baroque beauty dominating the whole city center. The monumental statue of St. Euphemia gracing the top of the bell tower shows the direction of the wind as it turns on the spindle. The Church of St. Mary in Beram (near Pazin), built in the 15th century, is of extreme cultural importance due to its valuable frescoes. They were painted by the great Croatian master, Vincent of Kastav. The most famous one is the Dance of Death and the Fortune Wheel. 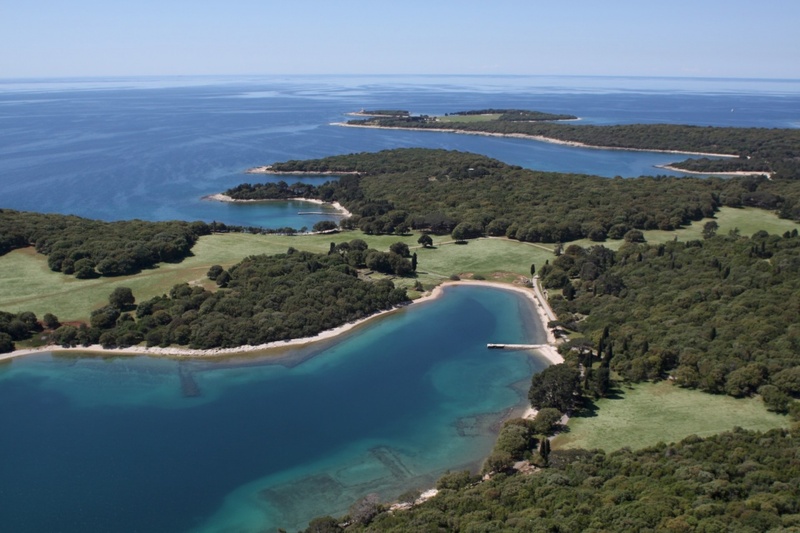 Be sure to visit Brijuni Islands, a group of 14 small islands situated near the coast of Pula. Famous for their scenic beauty, historical heritage and amazing diversity of flora and fauna, Brijuni Islands are under special protection as the Croatian national park.